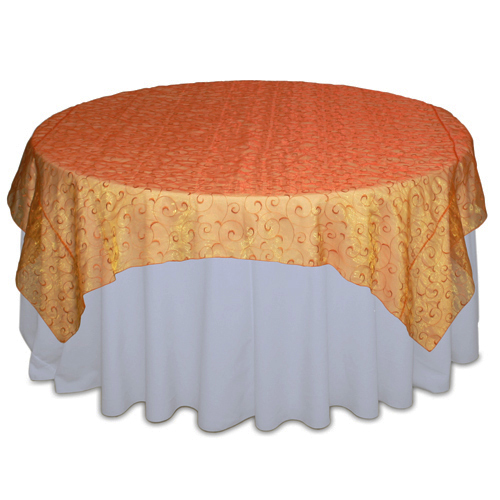 Orange organza swirl table overlay. Overlay Rentals off a wide range of options to take you table design to the next level. These overlays are made of a sheer iridescent fabric with an embroidered swirl pattern.